Andrew Koh is Assistant Professor and Director of Graduate Studies with the Department of Classical Studies at Brandeis University, as well as Affiliated Facullty with the Department of Anthropology and a Florence Levy Kay Fellow with the Department of Chemistry there. He also is faculty with the Center for Materials Research in Archaeology with the Massachusetts Institute of Technology. He holds his degrees from the University of Pennsylvania (Ph.D.) and the University of Illinois at Urbana-Champaign, and his areas of specialization are Greek art and archaeology, Aegean prehistory, Bronze and Iron Age Mediterranean, archaeological and conservation science, GIS, the cultural heritage of Crete, the Silk Road, ancient craftsmanship and commodities, and cultural hybridity. 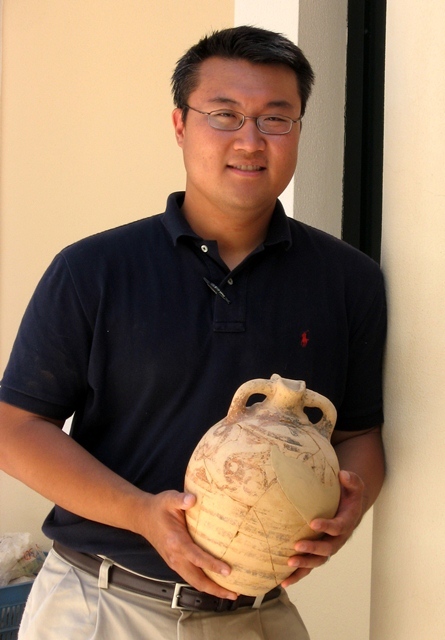 Professor Koh's publication projects include Luxury Trade and Social Complexity in the Ancient Mediterranean World (forthcoming, Cambridge University Pres).